We’ve all been there before. Reeled into a new TV show by the promise of in depth queer characters and heartfelt emotions. Then there is the inevitable disappointment felt when you tune in to find that the promised characters are in fact harmful stereotypes used by the media that reinforce the casual homophobia that frequents our screens or the honest story line promised to us is in fact a casual fling stuck in to boost ratings and that will never be mentioned again. So you’ve been burned by the promise of real characters before and you’re reluctant to let it happen again. Maybe you’ve seen the advert for Orange is the New Black or you’ve heard someone talking about it and you are wondering why open yourself to another let down? Please stop right there. I know your time is precious and you’ve been hurt before, and I’m not promising this show won’t hurt you (please someone give me the cure for a broken heart), but please watch this show right now. Based on a true story, Orange Is the New Black (OItNB) follows Piper Chapman as she enters a federal prison for carrying drug money ten years ago. As if this wouldn’t put enough strain on her relationship with fiancé Larry, it turns out Piper will be locked up with ex-girlfriend Alex who got her to carry the money. First let’s chat about the women in this show. This show passes the Bechdel test so hard that I’m having trouble to remember if it would past the reverse Bechdel (if such a thing existed and if you think such a thing should exist please go and slam your head in a door). The women in this show are complex and flawed characters with diverse backgrounds and moving stories. The women are at the heart of this show and they make you laugh, shock you and punch you straight in the heart. I don’t know what you look for in a queer show but there are a few things I like and OItNB ticks a lot of those boxes. I look for complex lesbian characters whose sexuality isn’t used for ratings or as a joke. This one gets quite a few ticks. 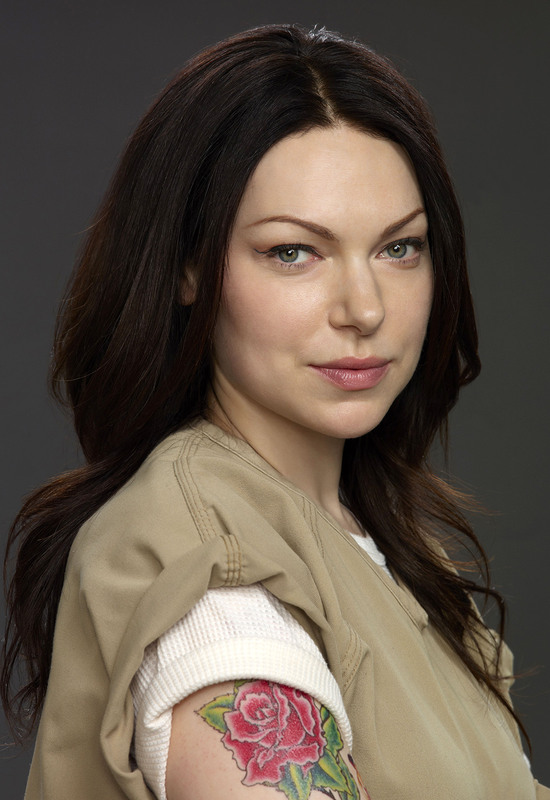 We have Alex, whose international drug ring antics kick start the whole thing for Piper. Alex’s sexuality is not questioned or laughed at, it is honestly presented and explored. Alongside Alex we have multiple queer stories varying from the hotly debated straight girl who sleeps with a woman while incarcerated to try and stop the wash of loneliness to the jealousy of a love triangle. There are plots that we’ve seen a million times before but with fresh twists and a dash of sensitivity that is lacking in so many of its queer predecessors. I look for realistic trans* characters and oh did I ever find one here. Sophia is a trans woman played by Laverne Cox, what makes this character even more wonderful than the very few that we’ve seen before is that Laverne is a trans* actress. Sophia’s story is the one that stays with me more than any others, it definitely made my tear ducts betray me more times than I want to admit. Not only is the character’s story delicately handled by the show but in flashback’s of Sophia pre-transition, they have Laverne’s twin brother playing that character. The entire show is worth watching for her story alone. I look for non-stereotypical black characters. This is where the show drops the ball a little. 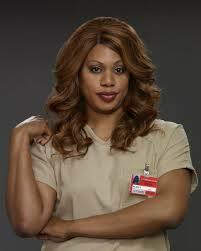 There are quite a few truly brilliant black characters (I forgot to mention that Sophia is a black trans woman). The ones to truly watch out for are Miss Claudette, Taystee and Dayanara. They are all stories that will punch you in the heart and make you examine the way you look at the reasons people may be locked up. I will just stop here for a second to give Taystee a massive shout out for referencing Harry Potter – one of the ways to my heart. The show isn’t all equality positive though, it is problematic in so many areas. It is however, difficult to say if it is due to insensitivity and discrimination or whether the show is being problematic on purpose to force viewers into examining the prison system and how inherently discriminatory it is. There are numerous examples of this throughout the show – at one point we have a white guard calling a black inmate ‘monkey’. Another one is the factions within the prison, the inmates are all separated by race, this has the potential to be an interesting insight into prison discrimination, and at some points it is, but the factions are inconsistent and it never addresses the consequences of attempting to exist and socialise outside of your faction. There are many moments where the guards use their power of position to harass the prisoners, one example of this is when they use the excuse of searching for a lost screwdriver to molest the women. Using media to highlight sexual harassment in female prisons or just sexist? Fingers crossed it is the first. The show ignores Piper’s sexuality throughout the show. It refers to her as an ex-lesbian and does nothing to address her fluid sexuality or how she could have feelings for both a man and a woman.